The camera is precision cut and formed from expanded PVC, and is made of two interlocking sections. The photographic medium is loaded into the bottom section in darkroom conditions, and then held in place by sliding in the top section, which locks into place by use of magnets. The top section of the camera also holds the stainless steel chemically etched 0.35mm pinhole in place. 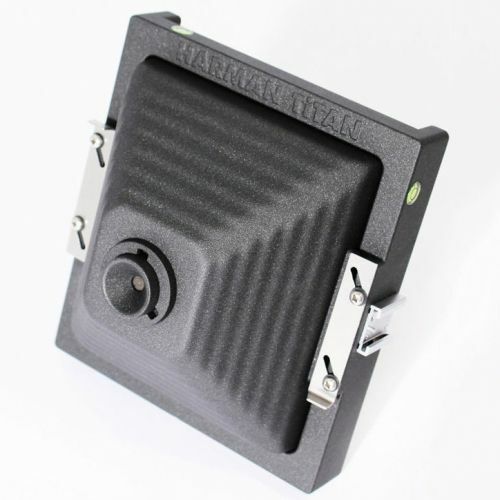 Designed for 4x5 inch film or paper, the camera is 87mm focal length giving wide-angle images. 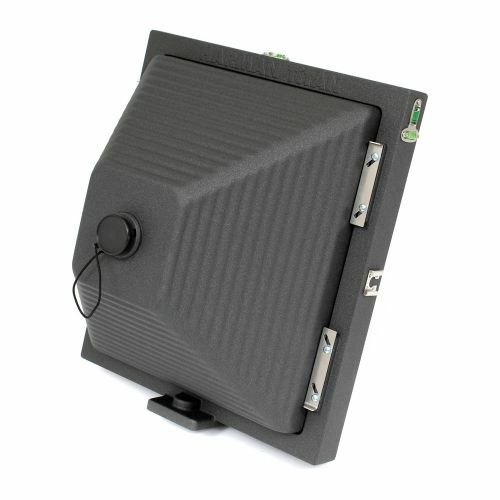 The pinhole exposures are controlled by a magnetic locking shutter, which can be left in the open or closed position. The front section can be positioned in either orientation making it suitable for right or left-handed use. The design also incorporates a tripod-mounting socket, and the enclosed sticker allows a sighting line to be created with which to aim the camera. 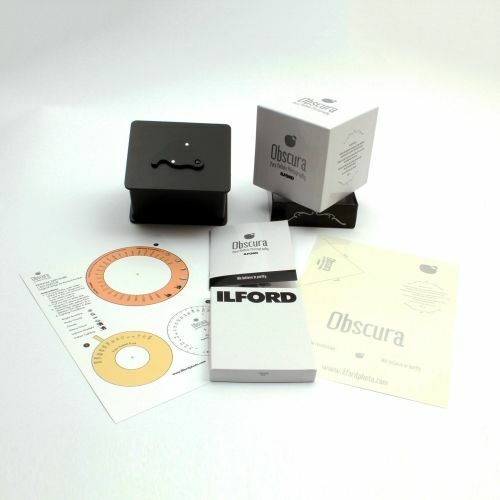 The Obscura Kit comes supplied with 10 sheets of 4x5 inch ILFORD DELTA 100 Professional film, and 20 sheets 4x5 inch ILFORD MULTIGRADE IV RC paper, to get the user started. Finally the kit includes a simple Exposure Calculator for use without a light meter, a set of stickers with which to decorate the camera, the user instruction booklet and a 3-tray light-tight sheet film box for storing exposed materials. All the user needs to load and unload the camera whilst on location is a changing bag.